Betaville is an open-source multiplayer environment for real cities, in which ideas for new works of public art, architecture, urban design, and development can be shared, discussed, tweaked, and brought to maturity in context, and with the kind of broad participation people take for granted in open source software development. 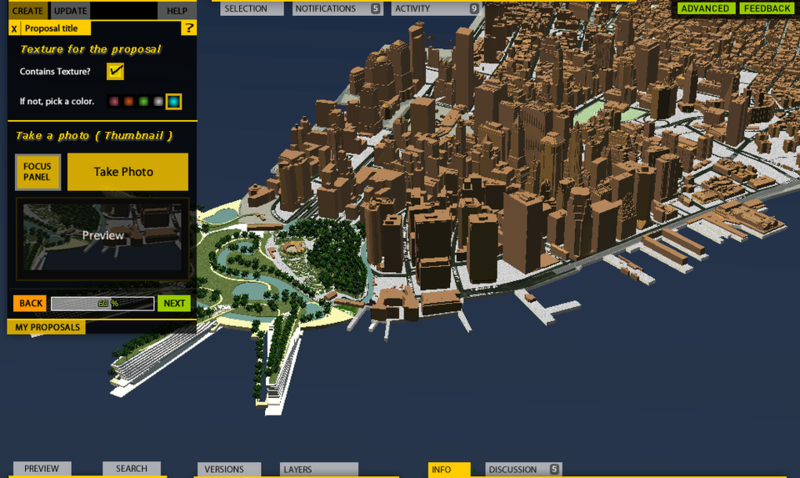 3D model to scale, parts of Manhattan and Brooklyn boroughs in New York City. Work with lead designer to design interactions for model uploading feature and other UI components.